Mangos, turkey with stuffing, fresh prawns and yorkshire puddings floating in rich homemade gravy. How can all of these flavours represent the same tradition world wide? 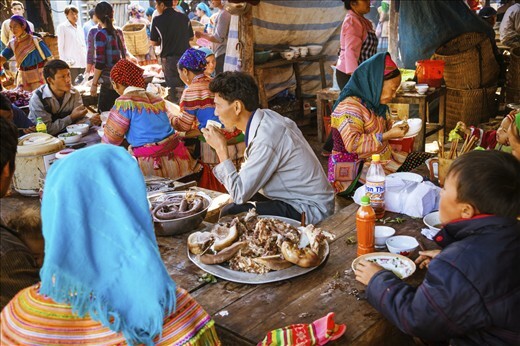 We've asked the staff here at World Nomads "What does Christmas Taste like to you?" and the results are representative to the wonderful world of travel we work in. From parmesan croquettes with homemade preserved olives, traditional fujian Lovo and cinnamon spiced Pan de pascua to sherry laden Christmas cake - we've got all cultures covered! Merry Christmas from everyone at World Nomads! "From mum’s side, I have fond memories of having Christmas Lunch at my Nonna’s house, which included her home-grown and made preserved olives, pan fried mushrooms, veal schnitzel, rolled beef parcels, and her signature dish that we called “Rice Things” – basically a rice croquette made with parmesan cheese and parsley (and a secret ingredient!). She has since been moved to a high-care nursing facility due to her declining health, and I miss everything above. I’ve learned the secret of making the perfect "Rice Thing" recently, and this Christmas I will be making a large batch of them so the family can remember the experience and keep the tradition going! From dad’s side, it was always Grandma’s Fruit Cake, which seemed to have more and more alcohol in it every year! Once, it was so moist you could almost squeeze the booze out like juice, but it always tasted awesome and left us feeling way too full!" "My dad’s family moved out from Lebanon 126 years ago, lthough most roots have been lost the food thing still stands strong. Apart from that Christmas day is not Christmas day without having Ferrero Rochers for breakfast, a huge BBQ for lunch - Chicken, Sausages , a million salads along with prawns and an avocado dip and oysters. Not forgetting the leg of ham which we will all be eating on toast for the next month! 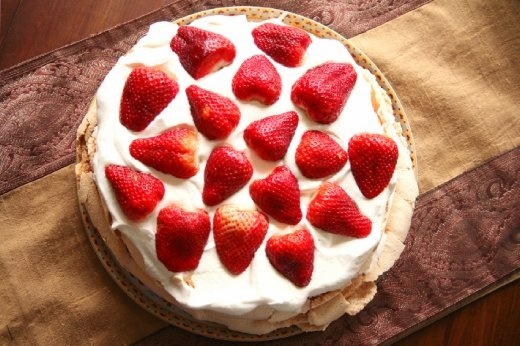 Followed closely by a table full of desserts - My fave would have to be my Auntie’s Pavlova. So in short a ‘Traditional Christmas’ tastes chocolaty in the morning, meaty at lunch, sweet by afternoon and tipsy by bed time." "A traditional Christmas to me tastes like plant rather than animal and comes pre-cooked from under the ground. My wife’s family is part Fijian Indian and from generations of living in Fiji they have adopted some customs from the Indigenous Fijians. One of these is the tradition of a Lovo feast. 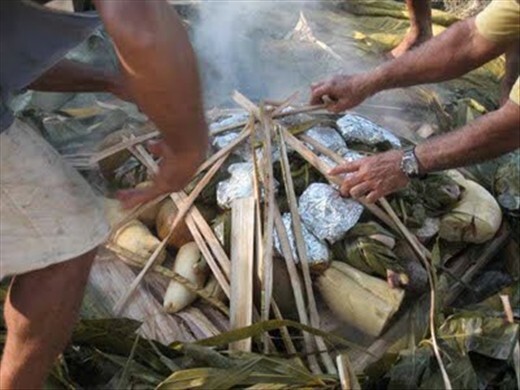 Lovo is a the Fijian word for an earth oven – essentially a big hole in the ground. First go in the hot rocks pre-heated on a fire, then layers of banana leaves and other such insulating items, then various perfectly sealed parcels of fish and meats and root crops, each marinated with a vast array of spices, and finally topped off with more insulating materials and rocks and other miscellanea. Then we wait a few hours – the process is not exact but empirical with plenty of guessing and speculating and checking. Finally when some elderly expert decides it’s time, it’s all unearthed and the parcels are handed out. Some plate it up, some don’t bother and eat straight out of it. My wife and I being vegetarians have our designated vego parcels, which really are no less enjoyable than the meaty ones that the rest of the extended family are digging into. Having a warm smoked ham with a hint of clove, mashed potatoes and lots of gravy, sides of stuffing, slivered green beans, some strawberry Jello, wild rice and a warm, toasty bread roll with melted butter washed down with a cold glass of milk. 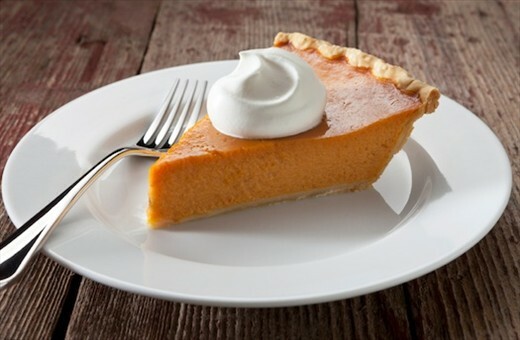 Take a break and steer the young kids to another room, clear away the table, do all the dishes and then serve up a large piece of homemade pumpkin pie with heaps of fresh whipped cream. Top it all off with a taste of port and a lounge to sleep on in front of the TV. This is a traditional (family) Christmas for me!" "It is the revenge of the Christmas Turkey, that overstuffs us with tender, gravylicious and endless desire to have more of the "Special time" once a year procession of cinnamon spiced Pan de pascua (Chilean Christmas cake) & Cola de mono, otherwise known as Monkey’s Tail (Chilean Egg nogg) lovingly made by friends and family! Don’t forget the background banter of raucous laughter and Christmas songs!" "The smell of Sweet (cooking) sherry makes me think of standing at my nanna’s kitchen bench, having the first stir of the Christmas pudding. She passed away 10 years ago this year and as I'm not seeing the rest of my family for Christmas on Xmas eve I will be cooking my nan’s pudding recipe, making sure that I give the first stir to my partner so we can start a new tradition! So what does Christmas taste like ? It taste likes roast lamb, baked potatoes and lots of Christmas pudding!" What does your traditional Christmas taste like? Father Christmas is believed to bring presents to children by midnight on Christmas Eve when children are sleeping, rather than Christmas Day. The presents are left under the Christmas Tree or in shoes by the fireplace. However, some people say that the presents are brought by the Baby Jesus rather than Father Christmas. Christmas Trees are common now, but not everyone had a tree until around the 1970s. However, besides the tree, the Nativity Scene (or Presépio) are the traditional Christmas decoration in Portugal. As for food, there are traditional cakes, fried cookies, nuts and other goodies! Cooked codfish with vegetables, octopus rice and turkey are often the main dishes now. Traditionally it was goat or lamb in northern Portugal and pork in the south of the country. 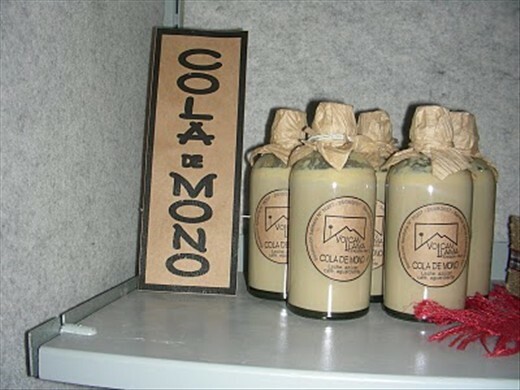 The selection of deserts are also somewhat different from region to region, but mostly the following: in the northern province of Minho, richer people would have rich desserts made with lots of eggs such as 'Lampreia de ovos'. Normal people would be more likely to have something like rice pudding. French Toast (called 'Rabanadas') is popular throughout the country as they are fried dough deserts sprinkled with sugar and cinnamon like 'filhós'. Filhós are also made differently in different regions. Alentejo province makes them with crated carrot and shapes them balls. Beira Province makes them flat and round with just the flour and water and sometimes some orange or lemon zest to flavour the dough. The traditional Christmas cake is 'Bolo Rei' (which means 'King Cake') and is placed in the centre of the table. There is also a lighter version without candied fruit called the 'Bolo Rainha'. People drink porto wine, traditional liquors and eat 'azevias' and 'filhozes' (Portuguese biscuits and sweets). The party lasts until the early hours of the morning! On Christmas Day the living room table remains untouched and people still enjoy their goodies! Families usually come and have Christmas Day lunch together. HAPPY FESTIVITIES and A WONDERFUL 2016 to the whole WORLD NOMAD family! Like in Spain, the traditional Christmas meal in Portugal, called 'Consoada', is eaten during the evening of Christmas Eve and consists of codfish with green vegetables and boiled potatoes. This is normally followed by shellfish, wild meats or other expensive foods.